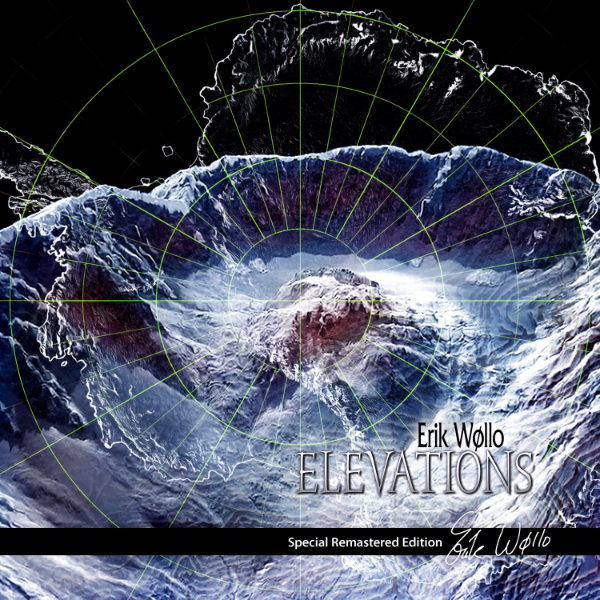 As the final statement in a series of five career-defining albums, Elevations closes a seven-year chapter of Erik Wollo’s recording career dominated by strong melodies and powerfully evocative themes. Built upon an ambient foundation, Elevations is a synthetic album with an organic heart that delivers eloquent electronic music, clear beats, and rich refrains. Graceful chiming themes ring out against ambient textures and delicate chord structures, while Wollo’s leading melodies are vivid, compelling, and full of feelings that call forth visions of lonely landscapes. Programmed beats drive much of the music, working in tandem with sequenced patterns – restful and set deep into the sound, often steeped in reverb or muted and distant. Elevations has a panoramic spaciousness about much of it – a sense of crisp, fresh air, the possibility of frost broken by warm waves of tones that gently suffuse everything like the sun breaking through cloud.